Richard III: The Final Battle. In 2012 the battle scarred bones of Richard III were unearthed. Three years later the sealed tomb has finally been unveiled at Leicester Cathedral. 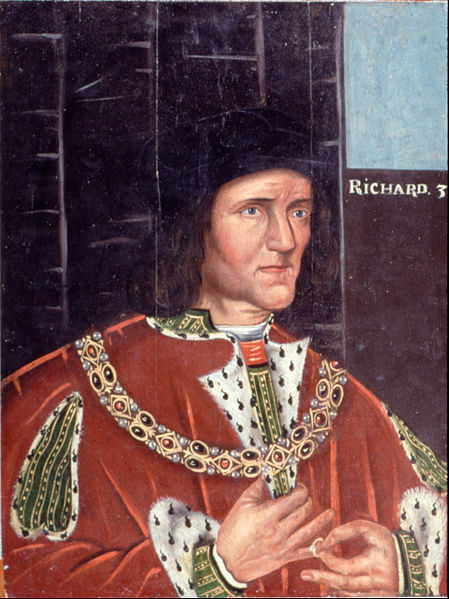 This event followed a week long funeral-fest which included a procession from Bosworth Field to Leicester Cathedral for a ceremony with everything from speeches to songs to second cousins 16 times removed and ending with an eye roll from Ashdown-Hill – proving the controversy surrounding Richard is certainly not dead. Hill, a historian, believed he was not credited properly for Richard’s discovery in the ceremony’s eulogy alongside Philippa Langley, the Richard III Society and Leicester University. As well as the controversy over who should get credit for finding him, there was the question of should his skeleton stay on display? His bones have been interred whereas other historical skeletons are kept on display in museums. A lot has already been gained from the study of Richards bones from confirming his scoliosis to tracking down living relatives; therefore it feels that it is the right time to lay them to rest. After deciding to bury him the question was where – this alone resulted in enough regional division to suggest the Wars of the Roses were perhaps not over! Apparently Westminster was full and couldn’t squeeze in another old king so it was believed he should be buried in his ancestral home of York but in the end Leicester Cathedral won the cause as it was the closest location to where he fell at the Battle of Bosworth and the carpark where his remains were discovered. Around 35,000 people turned out to the procession and more than 20,000 queued to see the coffin throughout last week, proving the final resting place to be a profitable tourist attraction. Recently leisure businesses, such as hotels and visitor attractions, around Leicester have made £45m due to the buzz surrounding Richard. 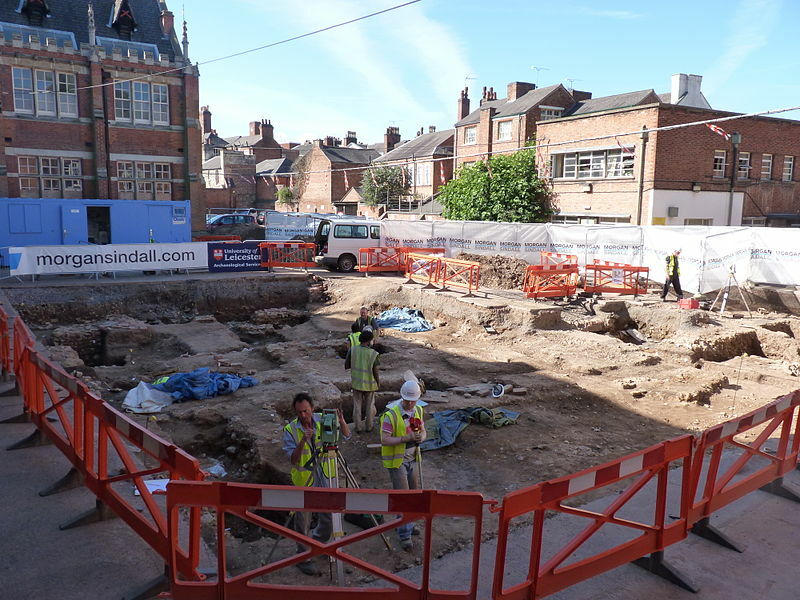 It also makes sense for the burial to be in Leicester as it’s easy to argue York is far less needy of this tourism boost with its existing Roman and Viking heritage, a visitor centre worthy of a day trip and a new archaeological discovery almost every time you stop for a picnic. As well as boosting tourism the discovery has also gone a long way to rekindle the debate over who the real Richard was – from misunderstood guy to the Shakespearean Richard III played as an evil, power-hungry hunchback. On one end of the spectrum there are those that still believe he is a monster and question why a child murder has been granted a dignified burial. To counter that view he has also been praised and reworked into a hero, causing a public reaction to his burial like that of saying goodbye to a slightly pesky but easily forgivable distant relative. Both seem equally extreme and funny. No one can face the power of Tudor propaganda and emerge, even in the 21st century, unharmed. Then those that say royalty can get away with murder are judging him as a king by modern standards and not of his own time. He fought through extraordinary circumstances though was not a perfect monarch and can easily be criticised in his time as conflicted and flawed, but even so he still has the biggest modern-day appreciation society – partly because of the uncertainty surround his life. In truth no one will ever know the exact circumstances of his death, what his personality was really like and the debate over the Princes in The Tower shows no sign of slowing down. We may never know for certain if it was Richard in The Tower with a pillow or whether he went round killing Game of Thrones style or if instead he was just a nice guy who was later attacked by Henry VII. Though one thing is certain, the mystery has only added to the enigma and excitement around the discovery. If I’d have been in Leicester last week I wouldn’t have been on the side of those against the elaborate funeral and reburial, but would have been gawping and taking photos with the others who turned out. The unbelievable yet thrilling discovery in a car park, morbid fascination over his life and the modern-day battle over who should have his remains all combine to make a story worthy of a medieval chronicle. It’s been interesting to watch such strong opinions emerge over the king and his remains not by historians, but by those actively interested in getting involved in the events. To me these views seem more valuable than the slandering comments made over the sensationalism by historians and critics. Following the events over the past few years has been amazing but the saga of the king in the carpark has finally reached its conclusion. Speculation over Richard’s exact character and whether he was a ‘doer of foul deeds’ adds much to the hype surrounding the discovery of his remains and what to do with them. I’m not at all convinced that the saga of ‘the king in the car park’ has indeed reached its final conclusion. Historians and other interested parties will be arguing over his life and times for a long time to come yet!